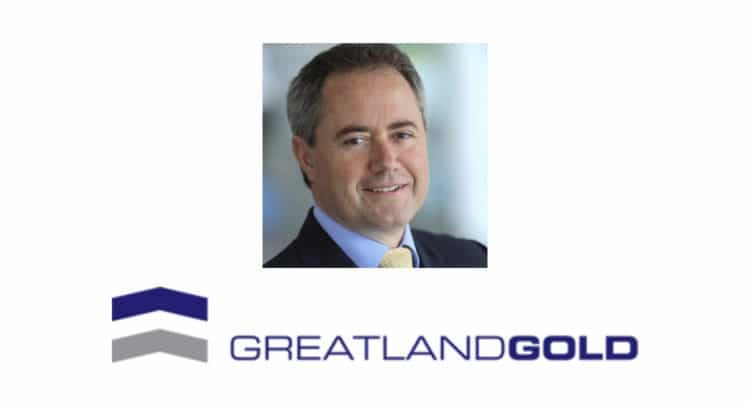 Greatland Gold plc (AIM:GGP), the precious and base metals exploration and development company, announces the exercise of share options by directors and employees, the sale of shares by a director to partially cover the cost of an option exercise, and the extension of the expiry date for certain previously granted director options. 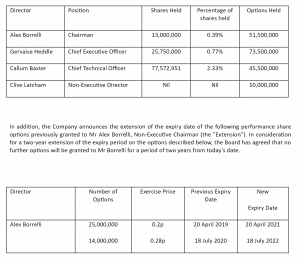 The Company has received binding option exercise notices from directors and employees for 90,500,000 options at various exercise prices (detailed below) for a total amount of £319,900. As a result of these option conversions, 90,500,000 new ordinary shares are expected to be admitted to trading on or around 16 April 2019 (“Admission”). Following Admission the total issued share capital of the Company will consist of 3,323,420,145 ordinary shares. As such the total number of voting rights in the Company will be 3,323,420,145 ordinary shares. This number may be used by shareholders as the denominator for the calculations by which they will determine if they are required to notify their interest in, or a change to their interest in, the Company under the FCA’s Disclosure and Transparency Rules. The Company has been notified that Gervaise Heddle, Chief Executive Officer, has sold 3,500,000 shares in the Company in order to partially cover the cost of exercise of the 25,000,000 options exercised by him as described above. The Extension is considered a related party transaction for the purposes of the AIM Rules. The independent directors (being the directors other than Alex Borrelli), having consulted with SPARK Advisory Partners Limited, the Company’s Nominated Adviser, consider the terms of the Extension to be fair and reasonable insofar as the Company’s shareholders are concerned. Notification and public disclosure of transactions by persons discharging managerial responsibilities / person closely associated with them.